What are Tel Aviv's best restaurants? As the culinary capital of Israel, there are so many great restaurants and cafes to choose from! Israel has gained quite a reputation for producing fresh, quality food. The city is home to a huge variety of places to eat. There are many good gourmet restaurants you shouldn't miss. But there are also lots of quality 'blue-collar' joints that only the natives know about serving delicious, ethnic food. So here is our updated list of some of our favorite Tel Aviv restaurants, in no particular order. Most of these places aren't kosher, but there are a growing number of top notch kosher restaurants in Tel Aviv. 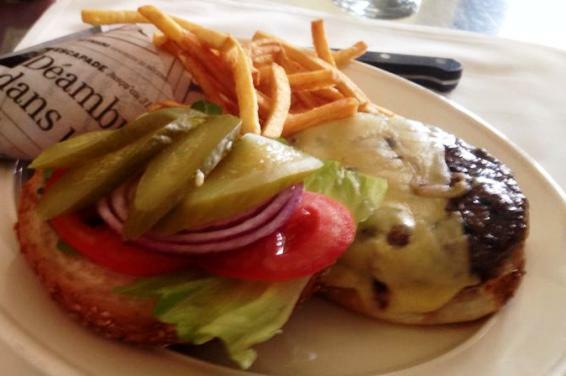 Read more about our ten favorite kosher restaurants in the city that never sleeps. 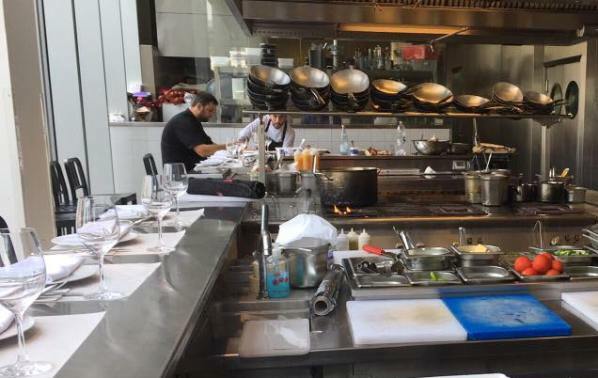 Yaffo Tel Aviv is owned and run by one of Israel's most loved chefs, Haim Cohen. The ambience is stylish, comfortable although its a bit noisy. You can choose a seat at the open kitchen bar as in the picture above, or in a regular restaurant table. Everything served is delicious, carefully put together, but in an easy going, non formidable way. The fish and seafood is extremely tasty and fresh. I wanted to eat something light and ordered my favorite Israeli fish, the Locus, which is a grouper fish. It was perfectly grilled, on top of kale and green beans in a lemony sauce. My two dining partners went for the classic entrecote steak, grilled uniquely in a clay taboun oven, served with bone and marrow on the side, roasted potatoes and broccoli. I could not resist tasting it! It was simply perfect in a complementary wine sauce. Yaffo Tel Aviv has amazing appetizers and deserts, but we were too full to continue. If you want to enjoy quality fine dining with seasonal, local produce in one of Israel's best chef restaurants, Tel Aviv Yafo is the place. 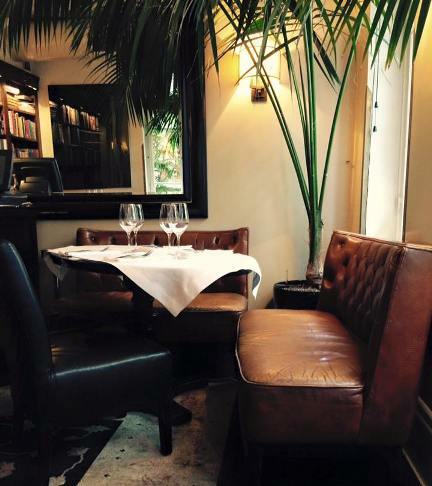 I confess that I usually don't like overly stylish, 'in' gourmet restaurants. 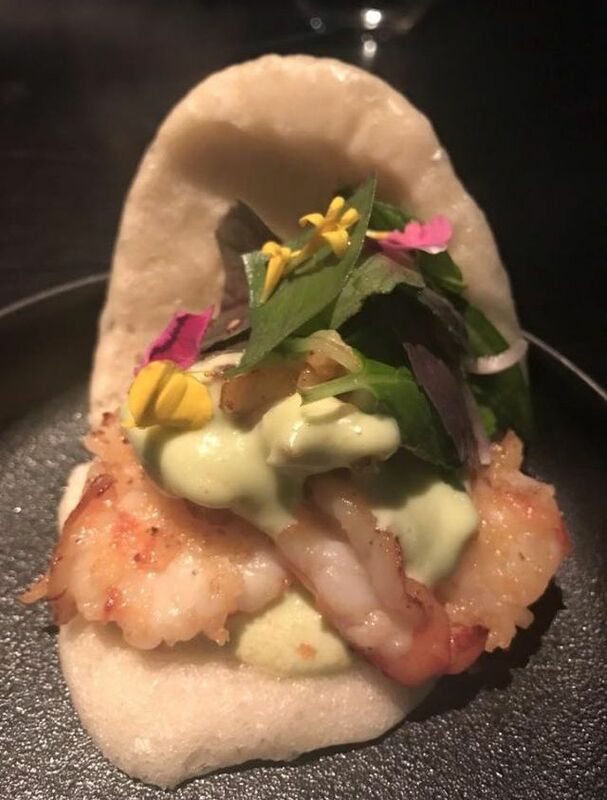 But Topolopompo is so delicious, the meals are so beautiful to look at, that I can't help but recommend this delicious Asian 'grill' restaurant, although its not cheap. Its a great place to share lots of small dishes. 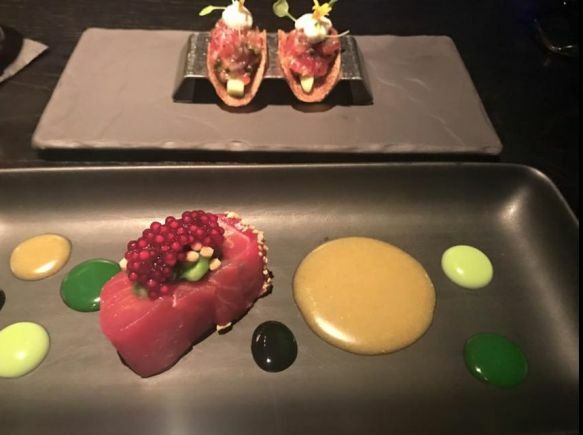 The bottom dish was delectable salmon sashimi with three varieties of wasabi sauces. 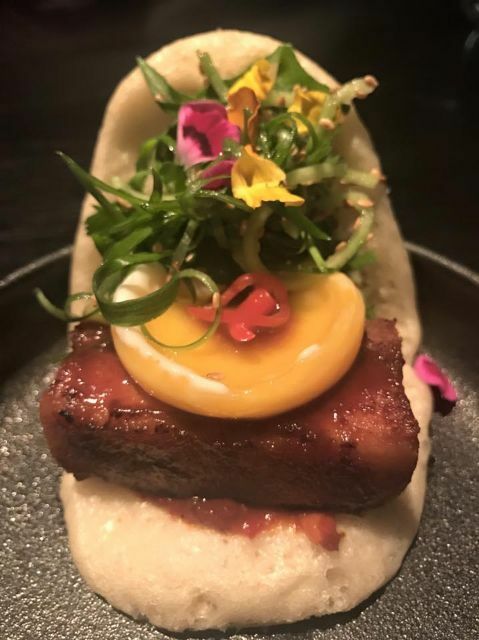 I felt like I was eating a work of art. Topolopompo manages to be delicious and original even with salad. We also ordered steamed buns, one with pork and one with shrimp. Light and tasty. 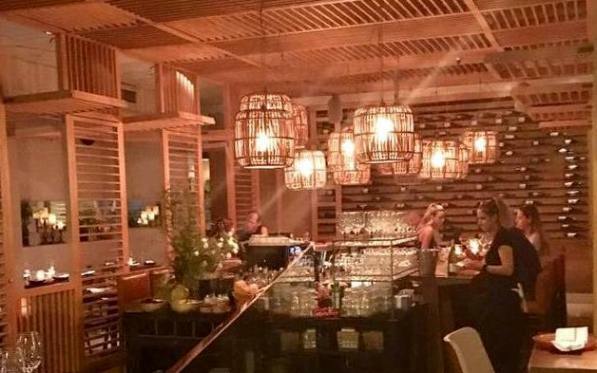 If you feel like an elegant experience that is stylish, delicious, artistic but not cheap, Topolopompo is an excellent choice for Tel Aviv dining. 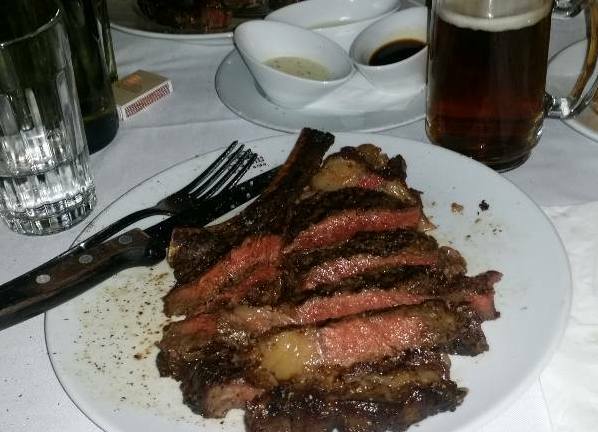 When my friend Michael asked me to recommend a romantic Tel Aviv restaurant for his anniversary, I didn't have to think twice. I sent him to Manta Ray, one of Israel's best seafood restaurants with a very special atmosphere. Make reservations in advance and ask for a table near a window for a romantic seaside view. It makes all the difference. On a summer evening, if it's not too hot, ask to be seated on the terrace so you can enjoy the sea breeze and watch the waves crashing. After drinks, the waiter will offer you 10 or more appetizers assorted on a tray for you to pick and share together. Choose several – they are scrumptious! In fact you can make a whole meal out of the appetizers. They vary, but can include feta cheese with figs, spinach salad with shrimps and mangos, pickled mullet fish with onion, tzatziki yogurt with mint. They are served with delicious homemade focaccia along with olive oil, balsamic vinegar and sea salt for dipping. My favorite main course here? Definitely their bouillabaisse (fish stew), but I've tasted most of their fish and seafood dishes and they are all first class. 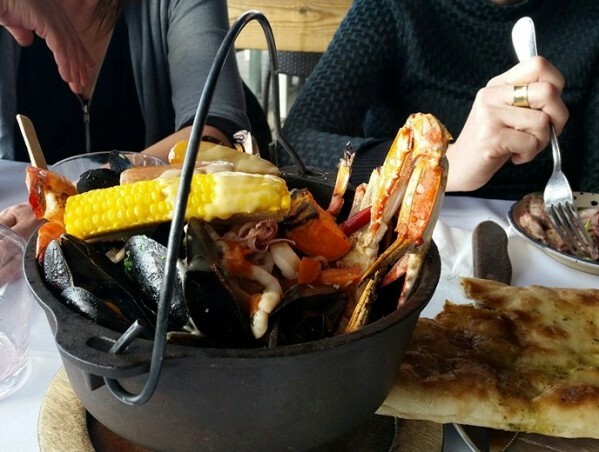 One of the best is the mixed seafood served in a black iron cast pot. Scrumptious! If you're not a fish lover, there are also excellent meat and vegetarian entrees. Manta Ray also serves great breakfasts everyday until 12 noon. 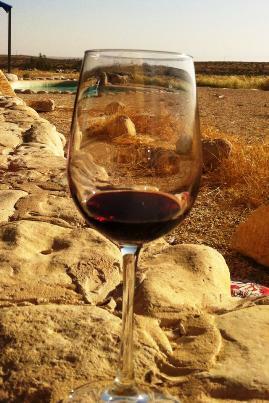 Kerem HaTeimanim - translated as the Yemenite Vineyard - was settled by Jews from Yemen in 1903. It is now a tiny, quaint Tel Aviv neighborhood, in between Nachalat Binyamin and the Carmel Market. The place is brimming with small restaurants serving aromatic, traditional Yemenite food. You can come any time of the year. 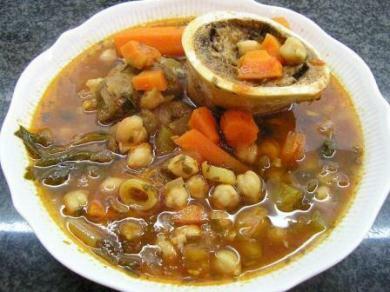 I especially enjoy coming during the winter which is a perfect time to eat the hearty Yemenite soups which taste like no other! But I love their Yemenite chicken soup cooked with Hawaj, a Yemenite spice mix that includes turmeric, cardamom, cumin and pepper. 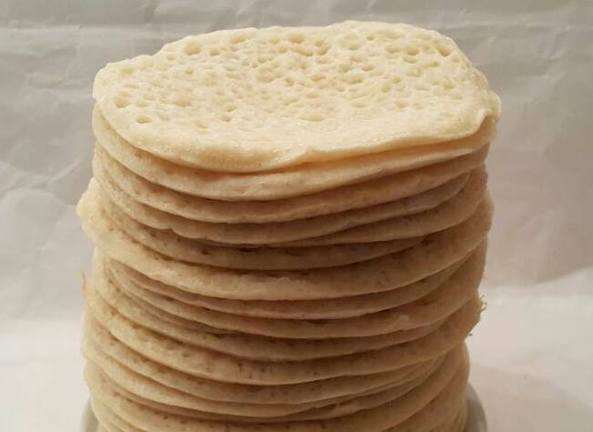 the unique, spongy Yemenite bread on the side costs about 25 - 30 shekel, less if it’s a bean soup. 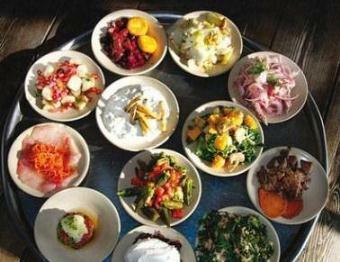 Beside soup, they serve many other tasty Yemenite and Middle Eastern dishes. Take note that the best time to come is for lunch. Erez and other restaurants in Kerem HaTeimanim close during the week at about 6 PM and are closed on Saturdays. 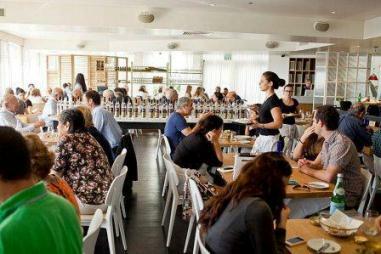 The Brasserie Hudson is about a 10 - 20 minute ride from the main Tel Aviv beach strip but its worth the trip. It is located in one of the courtyards of the highrise buildings in Ramat HaHayal, Tel Aviv's premier hi-tech center. 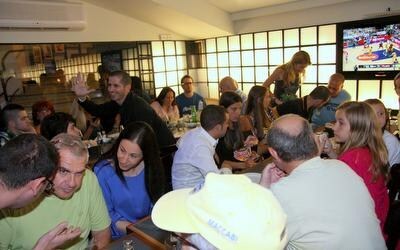 That makes it one of the favorite business meal venues for Israeli and international business executives. You can order excellent fish, chicken and vegetarian dishes, but the steak dishes are recommended. You can select different sized cuts of Israeli 'Sinte' or Sirloin, 'Fillet' for Filet Mignon and 'Entrecote' for Prime Rib. 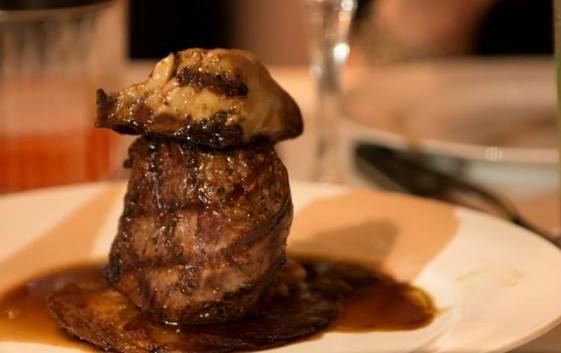 Their most famous dish is the NY-Style T-Bone or Porterhouse. 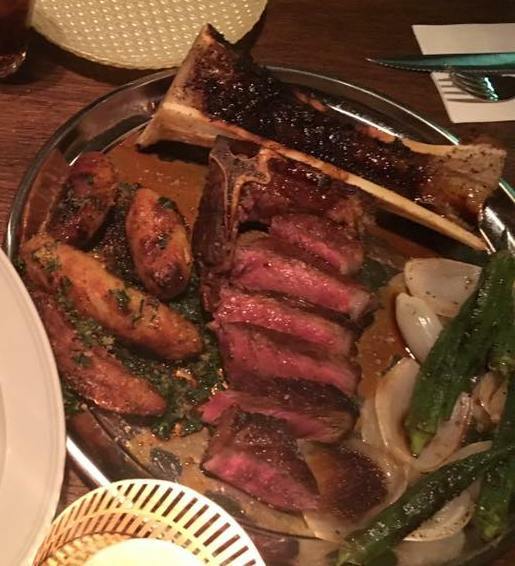 In the photo, you can see the sirloin under the bone and the meaty filet on the top of the bone. Its outstanding! For hamburger lovers, you can choose toppings not always available in Israel. 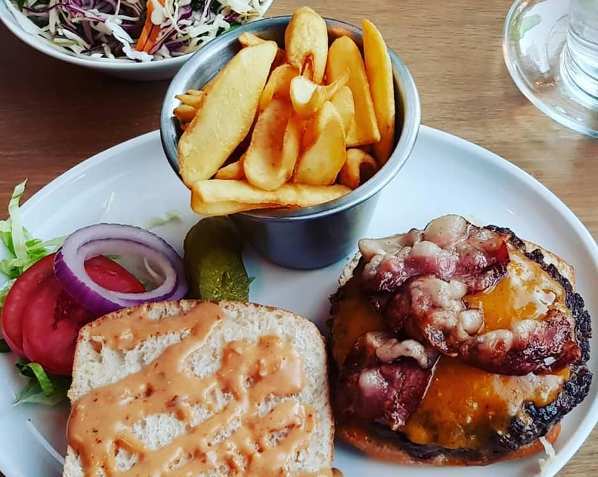 Such as a burger topped with crispy bacon and choose, with french fries, or 'chips' as Israelis call them. Chef Nini Nof opened 'Hamakeom Shel Basar' which means A Place for Meat over a decade ago in one Tel Aviv's oldest neighborhoods, Neve Tzedek. 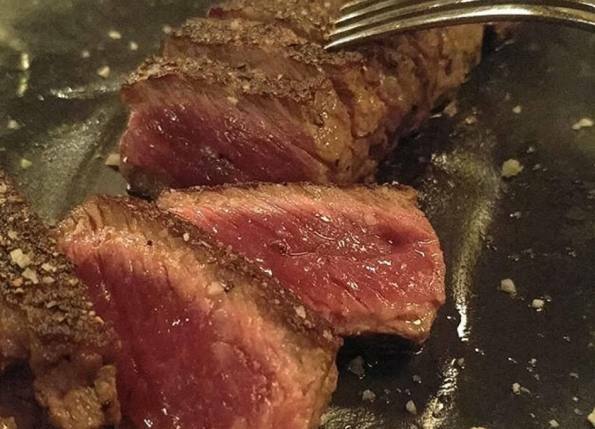 It is one of Israel's best restaurants, focusing on Israeli-grown beef. 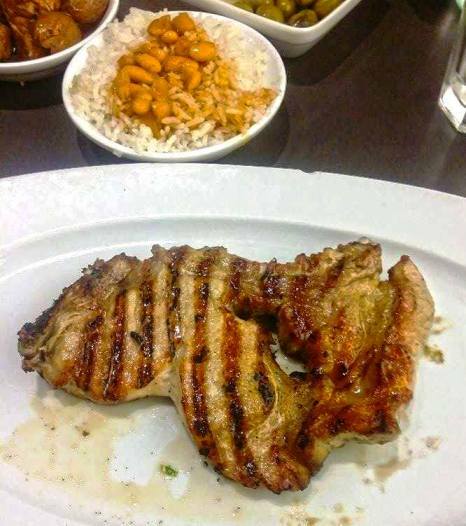 The steaks and all of their meat and lamb dishes are delicious. They also serve great side dishes, such as creamed spinach, potato-au-gratin, salads, french fries and more. My favorite is their unique onion rings. 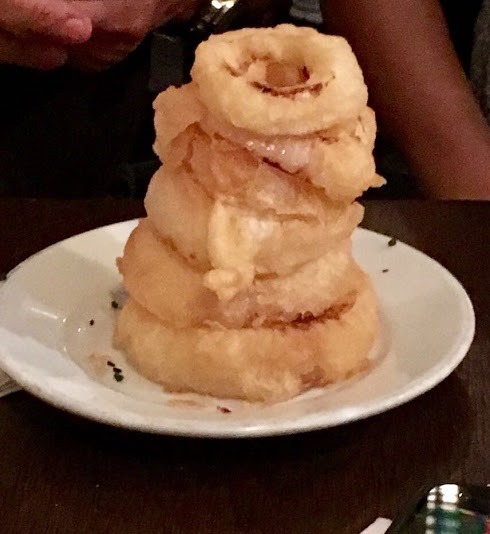 They are the crispiest and onion-est onion rings I've ever tasted, served in a tower. 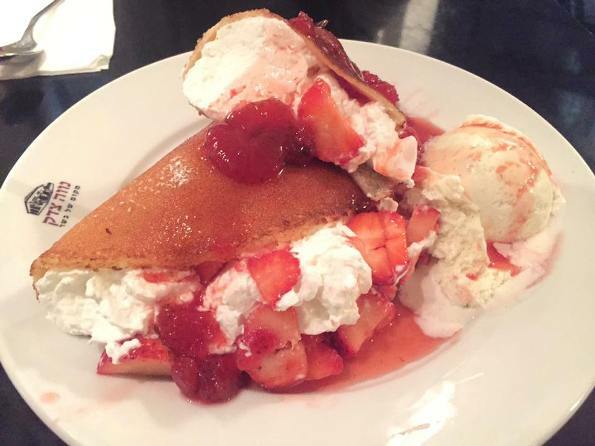 We shared their scrumptious strawberry crepes overflowing with whipped creme and vanilla ice cream. Wow! 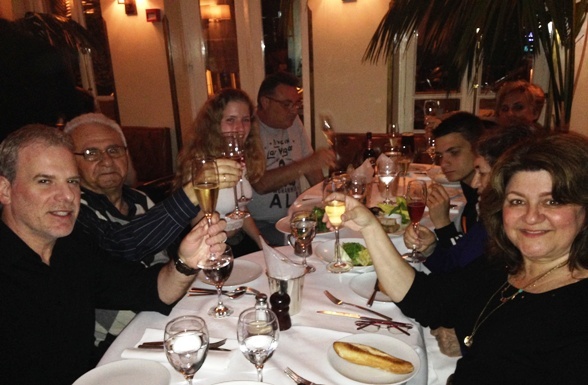 My extended family has a tradition of dining out to celebrate family birthdays. I usually prefer the lighter French-Vietnamese flavored fish dishes with lemongrass and vegetables. 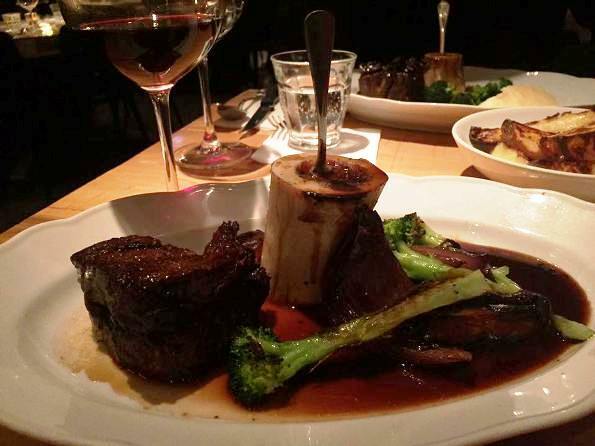 My parents' enjoy the spare ribs, the lamb dish and the classic French dish “Tournedos Rossini" with beef and goose liver. 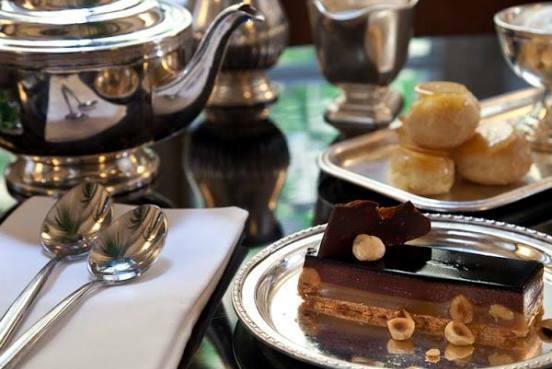 If you feel like indulging your sweet tooth, the Montefiore runs a special Aternoon Tea every Saturday. The cakes and scones are fabulous! 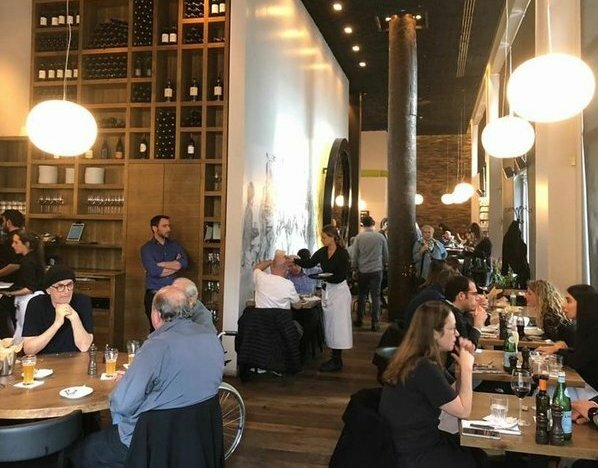 Brasserie is a Tel Aviv favorite. The decor is simple elegance, with lots of black and wood, high ceilings and mirrors. It is a bit noisy because the restaurant is huge and always seems to be full. It's open 24 hours a day, serving delicious classic French food that I cannot recommend enough. I think their french onion soup is the very best in Israel, their warm Chevre goat cheese and greens salad is amazing and their hamburgers and french fries ('chips' in Hebrew) are excellent whether you order them at 1 PM or 3 AM. Don't be confused by the restaurant name! This isn't a simple coffee bar, but a superb restaurant with a compact menu of great French and Italian classic dishes. 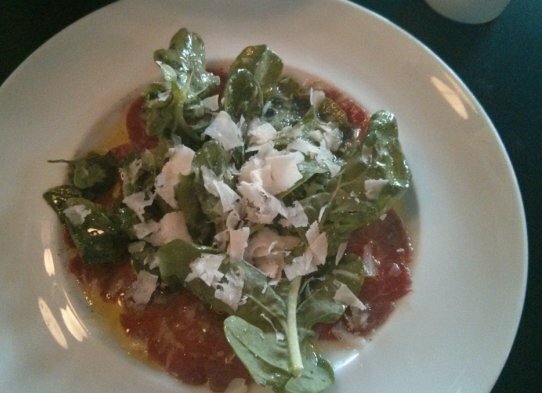 with lots of tart arugula leaves, freshly shaved parmesan and olive oil. There is always one or two pizza options with extra crispy crusts, handmade pasta dishes and polenta or risotto. 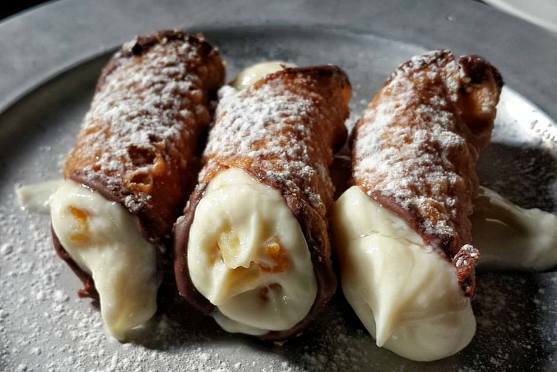 If like me, yu enjoy Italian sweets, I recommend their mouthwatering cannelloni stuffed with ricotta and oranges! Most foodies will disagree, but believe me, 206 is one of the best Middle Eastern restaurants in all of Israel. 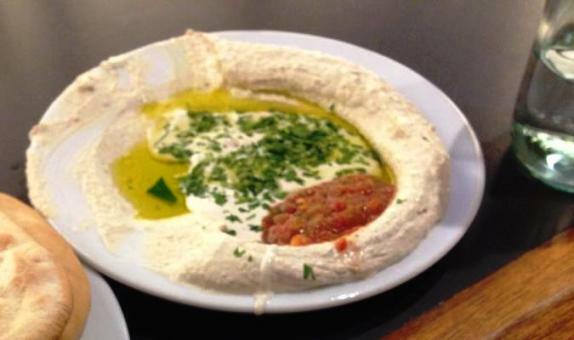 Their hummus competes with the best of the best. It is also one my family's favorite Tel Aviv restaurants. Not many tourists aware of it, since its in the north of Tel Aviv, a 15 minute ride from the city center. 206 is also a sponsor and the proud 'home' of the Tel Aviv Macabi basketball team, one of the best teams in the Euroleague. You can't miss their photos all over the place. 206 Dagim is the good fish restaurant upstairs. But for the Middle Eastern restaurant, head downstairs to the basement. A variety of great salads as appetizers – 'Israeli' salad, wonderful hummus, thick tehina, eggplant, labne (yoghurt spread). The side offerings included with your order are: rice and beans, majedera (rice and lentils), roast potatoes and cabbage salad. You can order separately French fries. Mimula'im meaning stuffed vegetables – cabbage, pepper, potato, moussaka (eggplant) and my favorite, stuffed cauliflower. They are filled with meat, or meat and rice and are very tasty. As soon as you are seated, the waiter will bring warm pitas, bitter Syrian olives and pickles. Ask for the grilled pita halves with olive oil and zaatar (hyssop). Yum. I come here often with the family. We like to sit at the bar and watch the cooks behind the scene. When my kids were younger, they loved watching the cook chop huge amounts of vegetables. It's like watching a magic show. One minute there are 10 whole cucumbers. After thirty seconds, they are all chopped into tiny cubes. And elegantly done too. I think that started my son Gilad's interest in cooking. This excellent restaurant has sadly closed, but you can enjoy Chef Roshfeld's excellent sister restaurant Herbert Samuel in Herzliya. Jonathan Roshfeld is one of Israel's celebrity chefs, and Jonathan Food Club is his latest gourmet restaurant opened in 2017. I've eaten here twice. The service is generous and friendly, the atmosphere and sea views are good. Most of the meals are not only delicious, but refreshingly different. 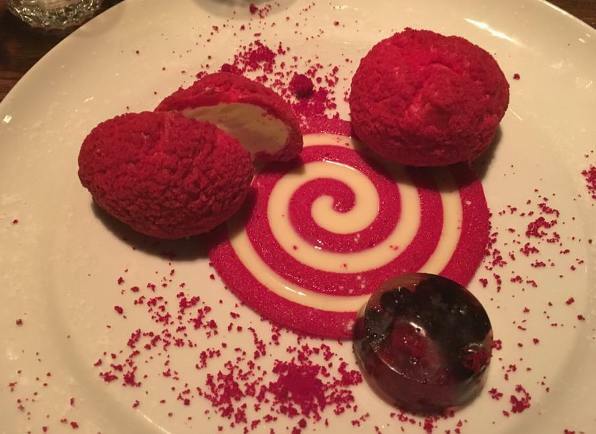 The only exception are the deserts, which range between good and disappointing. More on that later. 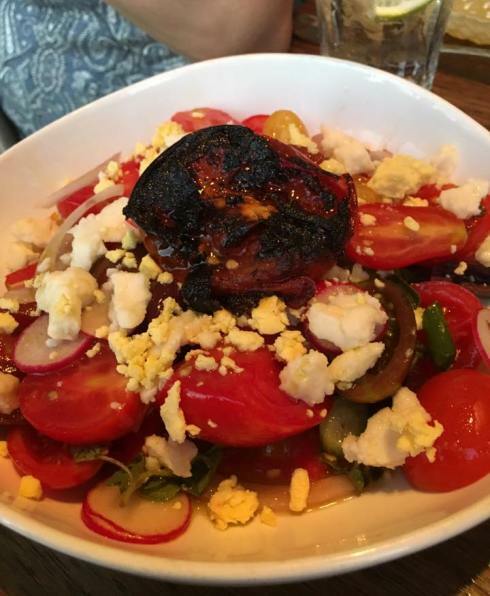 Don't miss Jonathan's famous tomato salad. Sounds boring but it is one of his classic dishes and is simply superb! The pasta dishes are amazing as well. We tried pasta stuffed with duck meat, and a classic ravioli with spinach and white cheese. 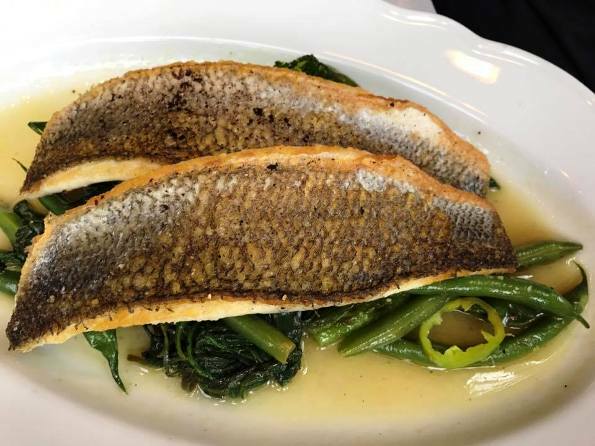 There is a variety of fish and seafood dishes and you can order a small or large portion of most of the dishes, to make it easier to share. Although we are not huge steak fans, my Mom couldn't resist the steak dish that served bone marrow at the side, as well as roasted potatoes, onion and okra. 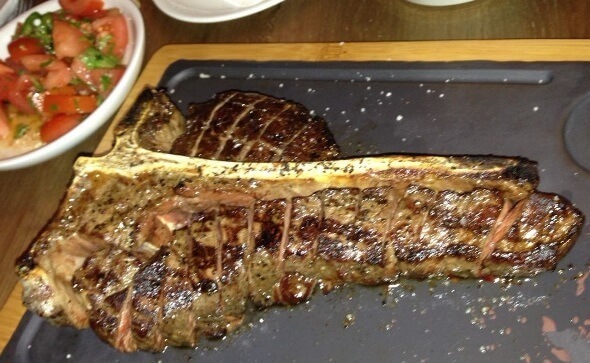 The smallest cut was 500g on the bone. It was perfectly done and delectable. We we ate every last bite! Our main disappointment was with some of the deserts. The Weiss chocolate desert is not for real chocoholics. It had a dry, flaky taste. The plum crumble desert was also good, but not special. We did enjoy the sweet and tangy 'Red Riding Hood' which is Jonathan's interpretation of Red Velvet Cake. And beautiful to look at too! Rafi Cohen is the well-known chef at this sun-filled, lively gourmet bistro. Raphael Bistro has been around since 2001. 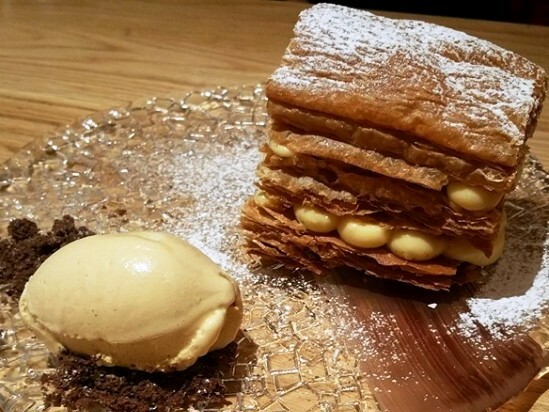 Despite some downs, it continues serving superb and creative dishes. It's pricey but worth it for special occasions. You can try the business lunch at 125 shekels per person,and a weekend special of 145 shekels, both excellent value for the good food. with chickpeas and vegetables. 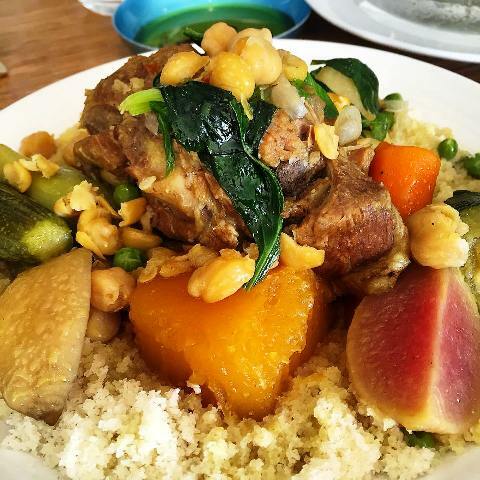 The lamb is soft, the vegetables melt in your mouth. Succulent and delicious! Tel Aviv is an expensive town. 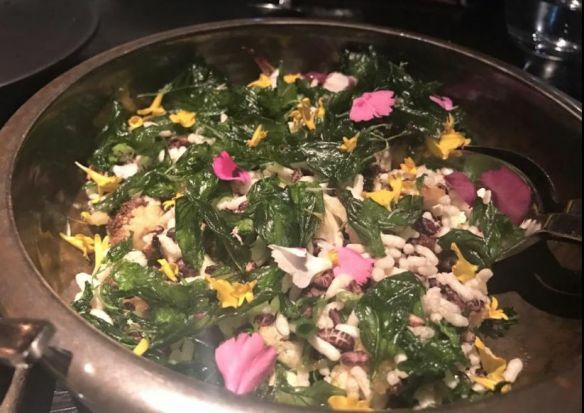 It may be hard to believe, but in the heart of Tel Aviv near City Hall, chef Eran Zur serves reasonably priced, quality dishes! The Local has an amazing bar with every drink imaginable and prices you can afford. 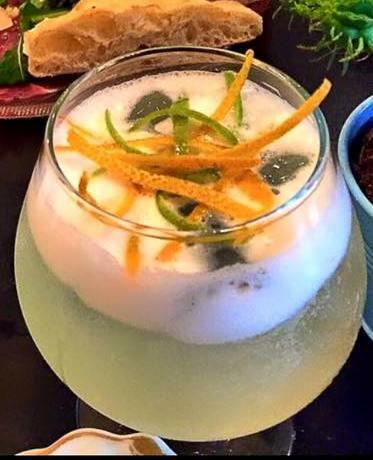 Try some of the unusual and delicious cocktails like the apple and ginger Chaco, or my favorite, the Local with lemongrass, vodka and citrus fruit peels. 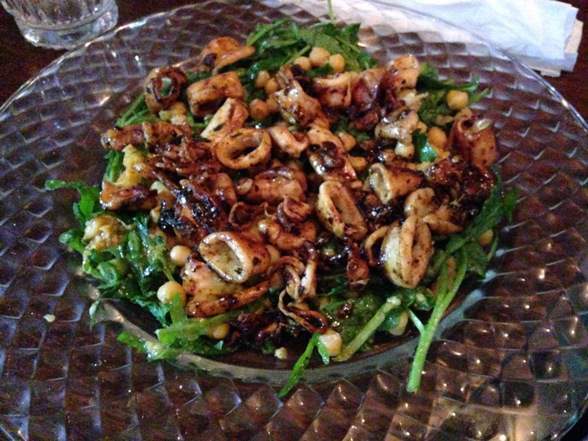 of perfectly grilled calamri on arugula leaves that I loved. My Mom had a a grilled filet of fish on risotto and my daughter ordered torn pappardelle pasta with tomotoes and vegetables. They both loved their dishes.